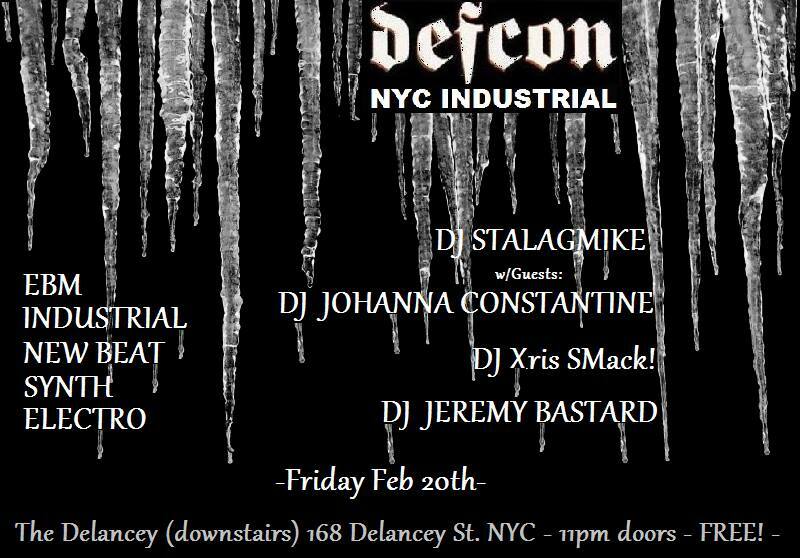 02/20/15 – DEFCON NYC Industrial w/SMack! DJ\’s Johanna Constantine + Xris SMack! DEFCON NYC Industrial w/SMack! DJ's Johanna Constantine + Xris SMack! FRIDAY! SMack! Resident DJ's Johanna Constantine and Xris SMack! invade Defcon NYC Industrial! :DEFCON, EBM, Industrial, New Beat, NYC, SMack!